His sire, Sugarbush Harley's Classic O on a 1st place ride in Western Dressage. His sire, Sugarbush Harley's Classic O at liberty. 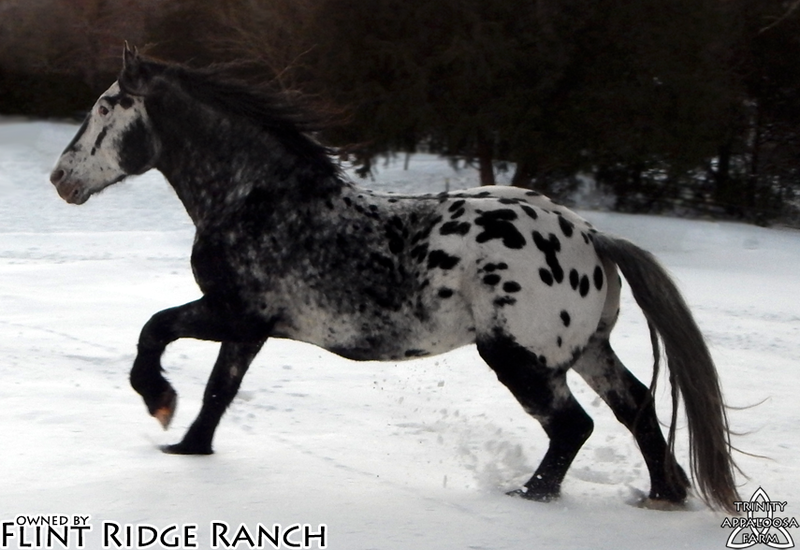 Sugarbush Harley's Classic O is the last Sugarbush Harlequin Draft stallion bred by breed founder Everett Smith and is the epitome of the breed standard. Classic O is the only stallion from the famous Sugarbush Harley Quinne. Born 2003; 1900 lbs; 16.2hh, Black Blanketed w/roaning. Registered by inspection of the American Sugarbush Harlequin Draft Association to be conformationally correct and genetically tested clear of defects prior to breeding. Classic O is tested LP/Lp and genetically clean. Classic O has proven himself as a celebrity in his own right, appearing at Kentucky Horse Park in Breyerfest 2013, 2014, 2015, 2016 and 2017! 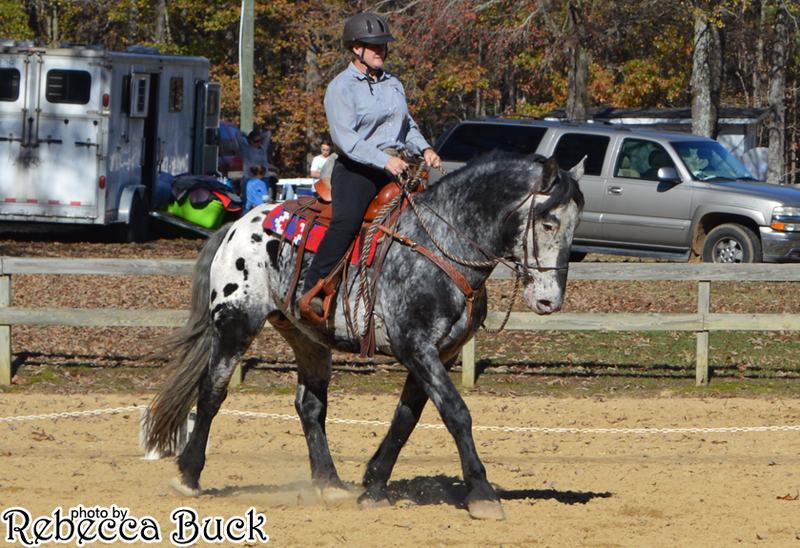 He has been highlighted in Draft Horse Journal and Rural Heritage Magazines. His show career is going strong with top honors in several shows, taking 1st place at the 2016 Virginia State Fair Open Draft Stallions at Halter and is the 2016 Grand Champion Draft Stallion in Virginia! 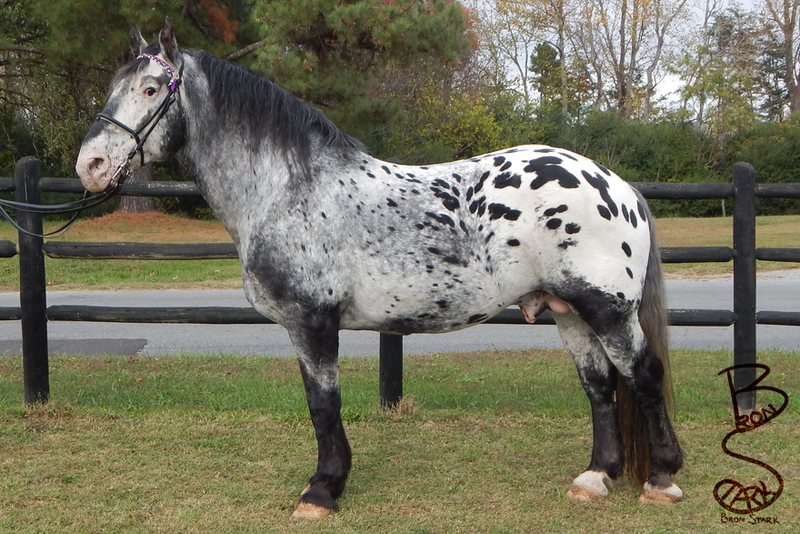 At the 2015 Virginia State Fair, he placed 1st in Light Draft Stallion over a National prize winning Gypsy Stallion, and 1st in English Pleasure. His debut at the 2014 Virginia State Fair earned 1st place in Open Draft Halter, Reserve Champion in Stallion Draft Halter & 3rd in Draft Western Pleasure. Classic O started competing in Western Dressage in 2015 with great success. He scored an average of 65.135 in his first 6 tests, qualifying for a NAWD Star award, earned show series Reserve Grand Champion in 2015 and 2016 and was ranked 5th in 2015 and 3rd Nationally, in his division! Classic O has produced some spectacular colts. Visit www.flintridgeranch.com for pictures. $250 booking fee holds a slot for your approved and DNA tested mare for 2015. Special pricing of $500 breed fee is offered for AI onsite in Brookneal,VA or shipped chilled nationwide. Shipping, mare care and collection extra.